Your boiler provides a vital source of heat in your home, so it is important to perform regular checks to ensure it stays safe and functional at all times. While it is important to conduct your own checks to alert you of any issues which may have arose in between services, it is also important to remember that these should never be done in place of your service. 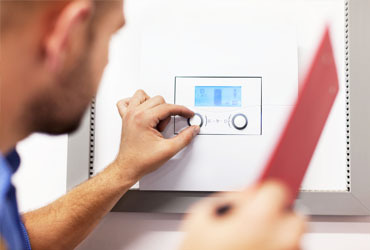 Here are our top tips on how to check your boiler. It is imperative to have your boiler checked by a qualified and reputable engineer, not only to ensure that it is working to its full capacity but also to ensure it is operating safely. If there should be any issues a qualified tradesperson should be able to identify these and carry out any necessary maintenance to ensure your home stays warm and safe. Speak to your provider to determine an appropriate service plan for your home and make sure you stick to your schedule! It is important to check that the pressure on your boiler conforms to that recommended by the manufacturer. This is usually measured in ‘bar’ a metric unit of pressure. On most boilers there is a pressure gauge visible which denotes the level of pressure that your boiler is operating at. If this should differ from that recommended by the manufacturer, it is important to gain advice from a qualified specialist who will be able to correct this and ensure that your boiler is operating safely. It is vital to check external pipes for any damage or cracks and ensure that the insulation is intact, particularly in preparation for the Winter months when extreme weather conditions could cause damage to the pipes. It is also worth installing a carbon monoxide alarm in your home if you do not already have one, which will alert you should the boiler have a dangerous leak. For more top tips on maintaining you home, why not check out our previous blogs on How to Paint Interior Walls and Painting Internal Doors?